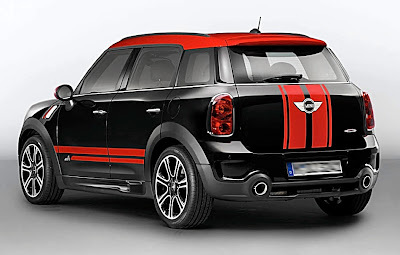 Revealed by BMW Mini just in time for the Geneva Motor Show next week is the ultra-sporty Countryman JCW. 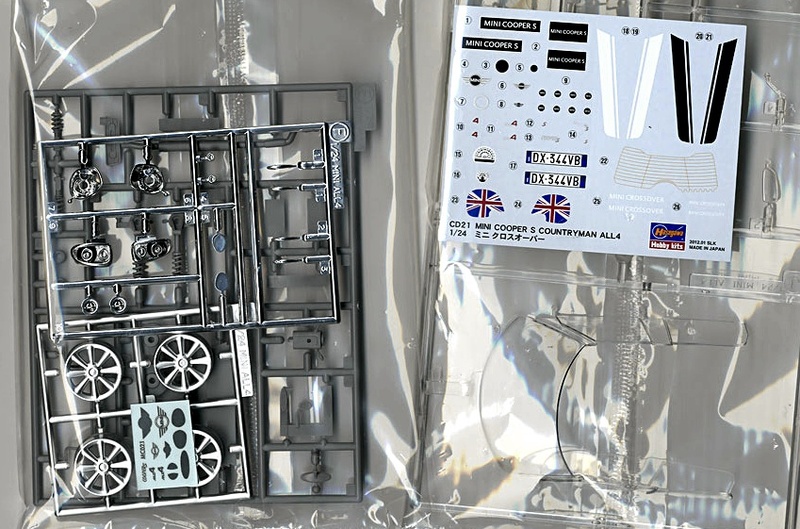 It earns its keep here as a kitbash option for modelmakers keen on the 1:24 scale Hasegawa Mini Cooper S ALL4 Countryman. We’ve had a look in the Hasegawa box, and it all looks very complete in there, with separately bagged-up components to keep things neat and tidy - and of course, avoiding the possibility of parts scratching each other while in transit from factory to workbench. 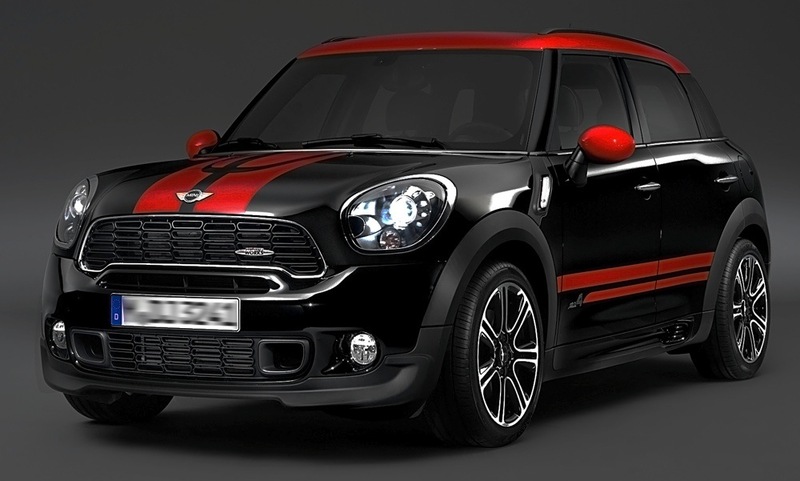 As for the real thing, it’s a bit of an oddity, this John Cooper Works (JCW) Countryman. First the designers jacked-up the suspension to give us the Mini Cooper S All-4, now the performance guys lower it again to make the top-of-the-range JCW racer. Ah well, we like to think they know what they’re doing! As for JCW, it’s named after the late John Cooper, the revered specialist racing car maker and tuner who breathed more speed and and better handling into standard production Minis. 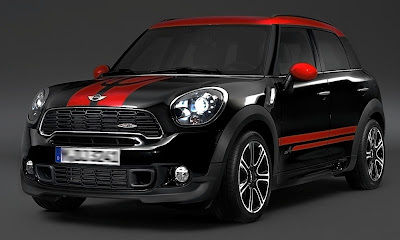 Today, the JCW company produces all sorts of performance equipment for the BMW Mini, and now the Countryman range has been added to the roster. The new JCW Countryman gives the modelmaker more kitbash options for the Hasegawa 1:24 scale Mini Countryman kit. 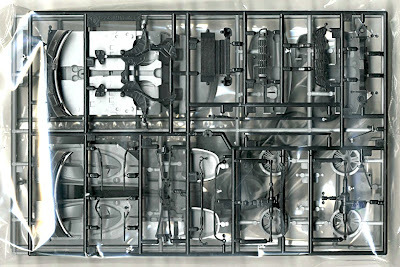 All sorts of Hasegawa tastiness here. 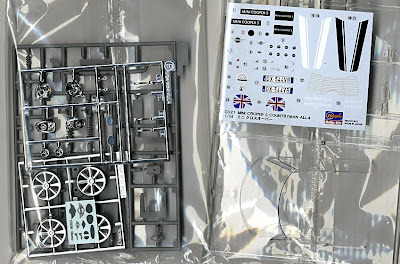 Tamiya 1:24 scale kit of the original Austin Mini Cooper 1275S here. 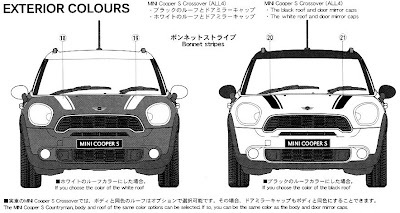 Assorted Mini Cooper models here.